Being a skilled and versatile musician takes more than just learning how to play an instrument; you also need constant practice. They say that the best way to improve one's musical skills is to listen, listen, and listen. This course will teach you about music theory, instruments, and rhythm in order to help you improve your listening skills, become more familiar with basic musical rules, and bring your musical journey to new heights. This free online music theory course will first introduce you to different musical instruments and playing techniques. You will then learn how aspects of classical music can be applied to other genres of music. You will also study the differences between motives and themes, the fundamentals of rhythm, musical notation, and the meaning of different musical notes. You will also learn how to identify meters in musical excerpts including counting measures and musical dictation. You will then learn how to identify rhythm in different genres of music such as jazz, pop, and classical music, as well as learn the most common types of format in pop music including intro, verse, chorus, and outro. The music theory course will cover rhythm and melody, major and minor chords, tremolo, pizzicato, and vibrato. Finally, you will study tempo and syncopation, polyphony, monophony, and homophony. Every great musician understands the importance of expanding one's musical knowledge and skills. This course will develop your listening skills and teach you everything you want to know about instruments and rhythm. It is perfect for professional and amateur musicians who are always on the lookout for new things to learn. So, check out the course today, and enhance your music listening skills in just a couple of hours! 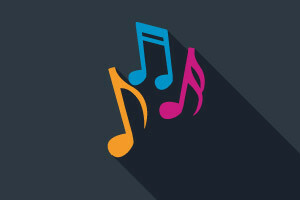 Describe the most common type of form in pop music – verse and chorus. Distinguish between major and minor chords. Distinguish between tremolo, pizzicato, and vibrato. Define what tempo in music means. Explain the term syncopation and how it is used in music. Distinguish between polyphony, monophony, and homophony.